Tianjin Ancient Culture Street (古文化街; gǔwénhuàjiē), 天津市南开区鼓楼北 is a cultural tourist attraction on the west bank of the Hai River in Nankai District, Tianjin, China. It is classified as a AAAAA scenic area by the China National Tourism Administration. 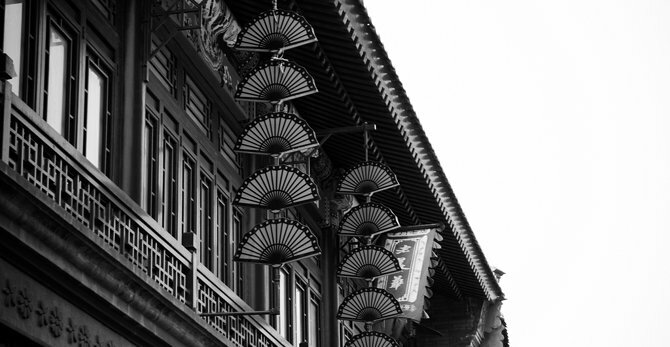 Tianjin Ancient Culture Street was opened on New Year´s Day in 1986, the overall construction has the folk architectural style of Qing dynasty, with Tin Hau (Matsu Temple) located in the centre of the whole street. There are nearly hundreds of stores along the street, among them Yangliuqing painting gallery and painted clay sculpture of Clay Figure Zhang are most famous, as well as calligraphy and painting brushes(文房四宝) of Four Treasures and Spring Church, cultural antiques of Sui Man Chai and cloisonne (景泰蓝), double-sided embroidery (双面绣), jade carvings (牙玉雕), art ceramics (艺术陶瓷), Chinese and Western musical instruments and gold and silver jewelry from other dozens of famous artists and craftmen. All goods are genuine, affordable and with good quality. Tianhou Palace is situated at the middle section of the Ancient Culture Street, Nankai District. 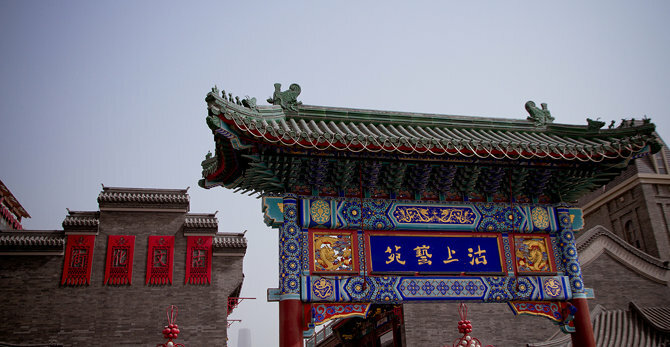 The original names of the Tianhou Palace include the Tianfei Palace, the Xiaozhigu Tianfei Palace, the Western Temple and the Niangniang Palace. Yuhuangge Taoist Temple was once the most famous building group in Hai River Triple Junction. In 2007, ancient governmental road in Ming Dynasty was found here, however, large-scale excavation was not made due to architectural and other reasons. A few days ago, many famous historians had special argumentation in respect of discovering historical and cultural resources of the Cultural Street, and improving the cultural landscape of Yuhuangge Taoist Temple. Around Yuhuangge Taoist Temple, there may be many historical relics and sites to be discovered, with high retaining value. Experts advised the restoration of the museum held by historical Zhili Public Welfare Services in this Temple about one hundred years ago, forming the unique “Yuhuangge Historical Museum”. 1. To further discover at Yuhuangge Square and its surroundings, trying to find building relics or dock relics before Ming Dynasty, so as to demonstrate the history before 1404 — the year of Tiainjin city formation; 2. 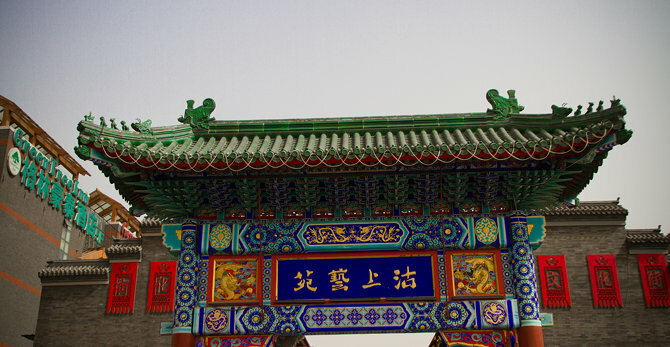 To completely preserve discovered historical relics, and revive the relics of Yuhuangge Taoist Temple or the history before Tianjin city formation, forming an important scenic spot in tourism area; To restore the museum held by historical Zhili Public Welfare Services in this Temple, forming the unique “Yuhuangge Historical Museum”.